It is possible to sign in to Day One Sync with Apple ID. This is to help users sign in without having to remember yet another login. You will not be able to add an email address to your account with these steps if that email is already associated with a Day One account. You will receive an email to confirm this. Click the link to confirm and sign in to dayone.me with the option to Authenticate with Apple ID again (see screen shot below). 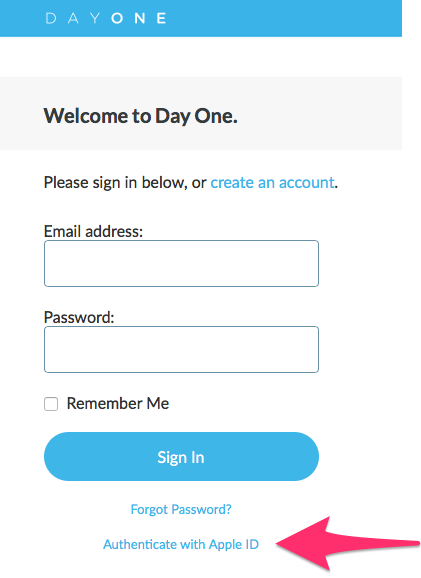 Now you can use that email and password to sign in with you choose "Day One account" to sign in on the apps.